2014 was an amazing year for us! Besides selling a whole bunch of stuff we also bought a house, took a trip to Scandinavia, and got another corgi puppy! Looking back at the year this picture stuck out to me. Its a wonderful mix of all of the sorts of thing we hunt for everyday. There are 3 themes that stuck out to me in 2014 rocking chairs, gondola sofas, and Pendleton wool upholstery. Here is a look at some of my favorite rocking chairs. 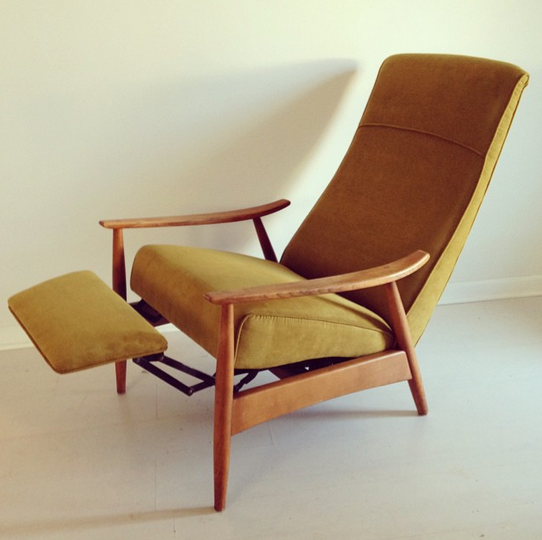 Before & After: Soren Georg Jensen rocking chair. I drove further to pick up this chair than any other piece I bought in 2014. Before & After: Adrian Pearsall rocking chaise. This is one of three that I found this year. Gondola Sofas: Gondola sofas have a uniquely modern flare that stands out in any mid century living room. It is a joy to find them and bring them back to life. Gondola sofa by Adrian Pearsall for Craft Associates. Gondola sofa with oak accents. Before & After: This gondola sofa was custom made and extremely rare. It sold right away. Before & After: The final gondola of the year was this 111'' monster of a sofa. Pendleton Wool: Pendleton wool is milled local right here in Oregon. It is incredibly popular here. It is a fun way to upholster pieces with some local flare. Eames style lounge chair and ottoman. This was the most popular Pendleton pattern this year. Swedish lounge chair by Folke Ohlsson for Dux. 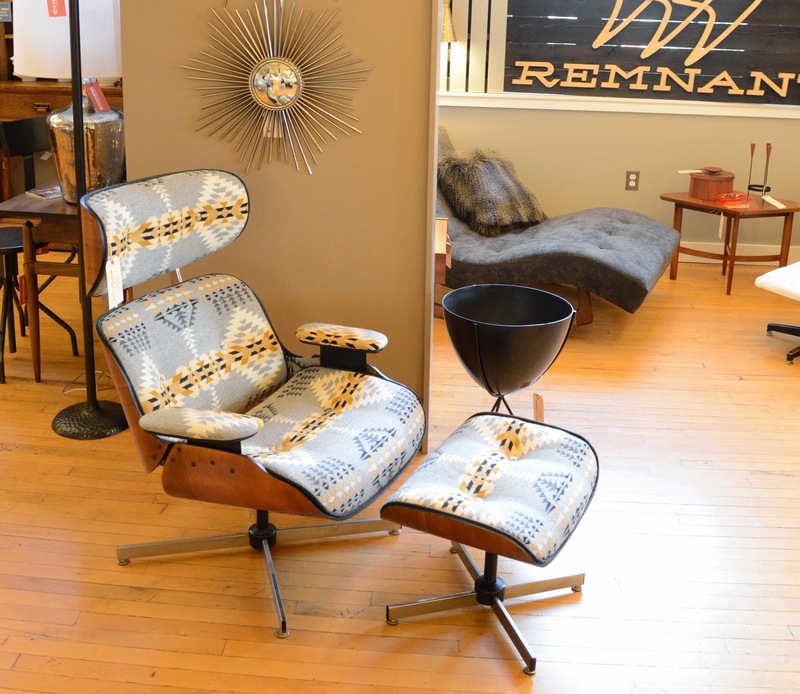 Eames style chair & ottoman in the Walking Rock pattern. Milo Baughan recliner. Newly reupholstered. Carter Bros scoop chair and Millie the Corgi. Danish teak waste basket by Einar Barnes for P.S. Heggen. This year we began vending at the Sunday Emporium at Rejuvenation. 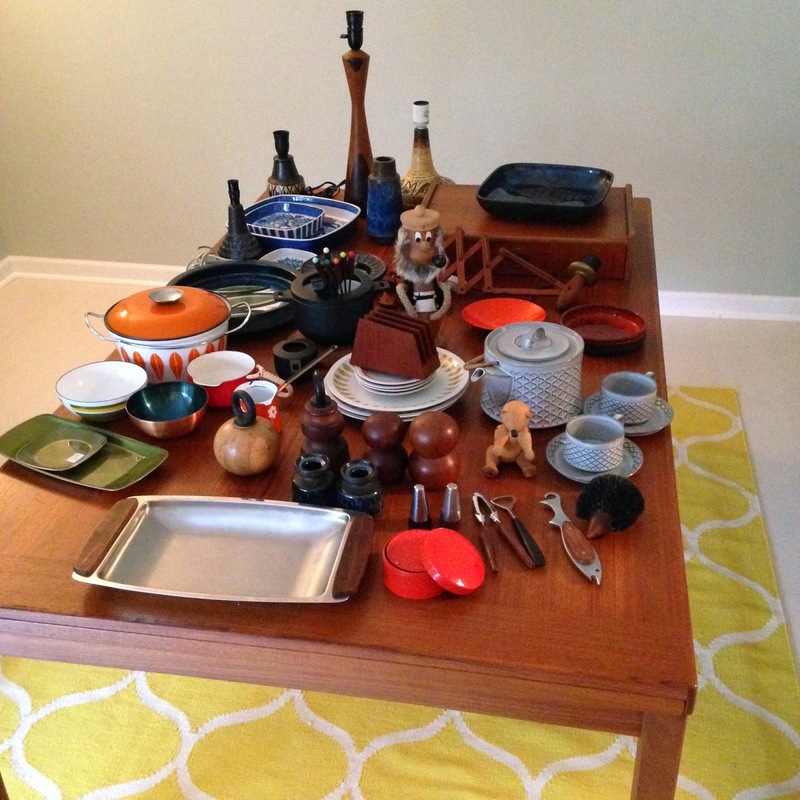 It is a perfect fit for our finest pieces. Flea Market in Copenhagen: While on our trip to Scandinavia we shopped at flea markets in Copenhagen, Stockholm, and Oslo. Here are a few of the things we bought. What is the approx. cost to recover a Westnofa Rock-n-Rest recliner (not incl. fabric)? The labor cost would be around $250. Who was the maker of that gondola couch that you redid in the yellow fabric? We just picked one up for next to nothing and are going to redo it ourselves. I think it's a good 'starter' couch for learning how to do a slightly more complex upholstery job - I've done some simpler chairs. But any info on the maker or during photos would be awesome! Thanks for your comment. We do not know who the maker of that sofa was. It was a bit easier to upholster than some other sofas we have done. We do not have any photos of the upholstery processes for this one.